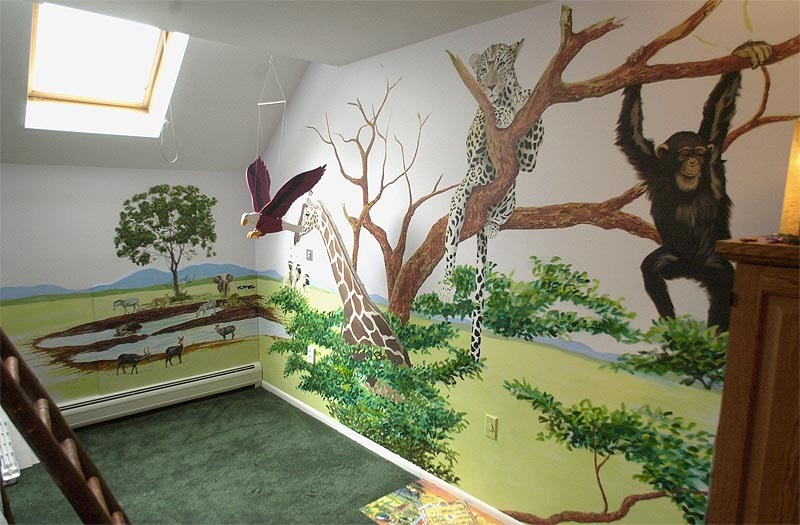 This is Craig's African Adventure room done in two parts.The larger animals were painted by Jim Marlis and I, and then I finished the job by the watering hole on plywood. The thought being he could take a piece of his childhood room with him when he left. For watering hole close-ups click here.